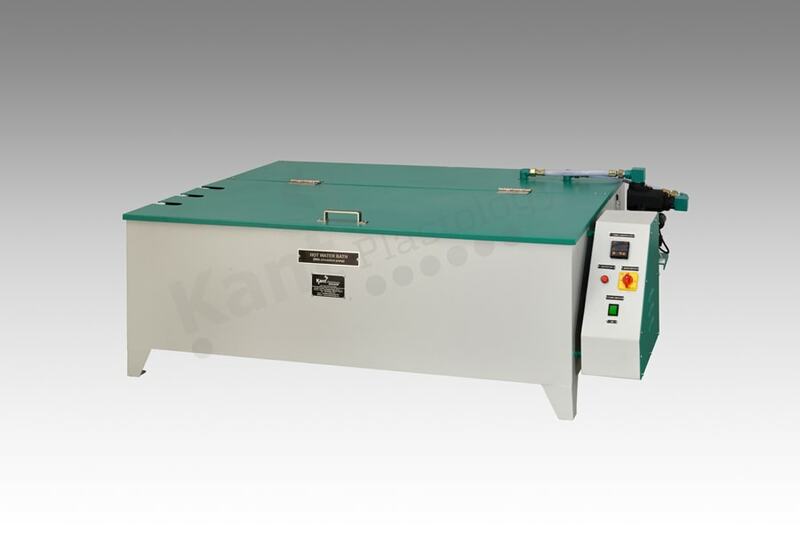 Kant Plastology’s HOT WATER BATH is the equipment with heavy and rigid construction. The apparatus is build with calculated of sheet as per water volume. Energy efficient heating elements and stirrer motor are used for produce homogenous heat in the entire chamber. Thick heat insulation use to minimize the heating loss during test. Easy top opening door to place the test sample, Slot in door to retain the rubber hose pipe attached with test sample, Drain valve & Heater safety cover are extensive features to geared machine for best quality HOT WATER BATH.